Below we share an in memoriam piece submitted to us by Sarah Richter, a friend and fellow student of Laura Robertson, KIN graduate, who passed away on July 30, 2018. Laura Robertson was a School of Kinesiology alumnus, who graduated in May 2017. She was known for her sense of adventure, compassion for helping others, willingness to try to new things, and her quiet, yet funny personality. Prior to her years studying Kinesiology, she was first enrolled in the Faculty of Arts in 2011 at UBC, and even had time to adventure to the University of Melbourne for a Go Global semester in the latter half of her third year. Laura was able to pursue her true passion by joining the School of Kinesiology. She worked part-time at Body Works as a Personal Trainer from 2015-2016; her client interactions were always positive and meaningful. Although her career aspirations lay in Kinesiology, she was able to find a home in other activities at UBC. Laura competed for the UBC Logger Sports Thunderjacks team, competing in BC, Alberta, and throughout the United States. Her events included axe throwing, double buck, stock saw, and the underhand chop. She was also selected as a club representative for SISU Girls of UBC in its inaugural year. The club’s focus was on providing outdoor adventure opportunities to UBC students, inclusive of all abilities, genders, and ages. The international organization focused on engagement with young females, but this UBC club broke boundaries in providing opportunities that other clubs lacked. 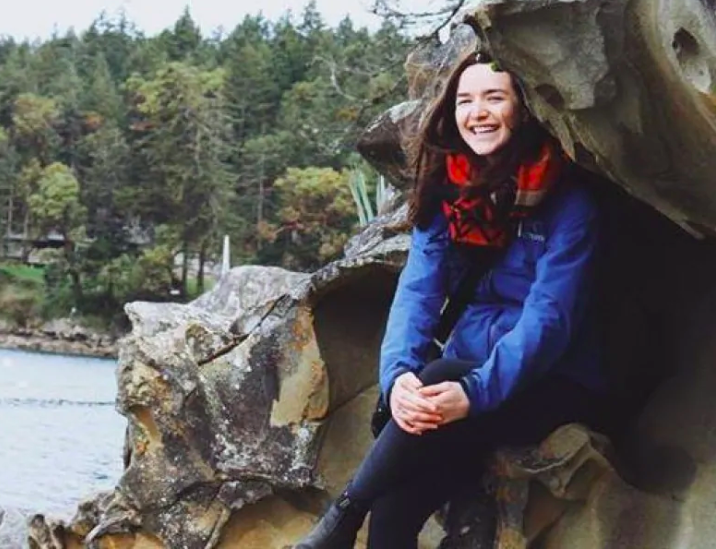 Through SISU Girls of UBC, Laura showcased her adventurous and brave self on hikes, wilderness scavenger hunts, beach clean-ups, and water sports. Other involvements included being an Assistant Director for UBC REC’s Ice Hockey League, being an Orientation Leader for the School of Kinesiology, and following that up with her role as a Squad Leader. UBC Orientations allowed her to connect with student leaders in other programs, while continuing to plan an incredible welcome-to-UBC for new Kinesiology students. Within her busy schedule of involvements, Laura found more time to work. In 2015, she worked with Groundwork Athletics Inc., Vancouver. Here, she continued to work in a personal training capacity, while organizing fundraisers for after school programs and communicating in an interdisciplinary setting. During Laura’s summers at home in the Niagara Region, she volunteered her time in horseback riding with clients with special needs at Red Roof Retreat. Following graduation in 2017, she was promoted to an instructor role. Laura also decided to work outside the field of Kinesiology, and spent the year in a customer service environment at a local craft brewery. As Laura continued to grow in her field, she most recently was hired in to a role in the Brock University Department of Athletics & Recreation. The Robertson parents were known for their support to Brock University, and Laura continued their legacy by working for the school. Laura passed away on July 30, 2018, with both of her parents, as her family was flying from their cottage in Pembroke, ON to P.E.I. for a vacation. The family has been well recognized in this time for the support and love for the Niagara community, but Laura Robertson will still be well-remembered on the west coast. She leaves behind two brothers, who will continue the family’s legacy and supportive image. For students who find they are in need of counselling support, please contact UBC’s counselling services to be given priority treatment.